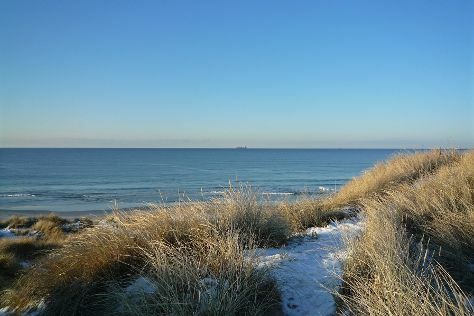 On the 11th (Wed), stop by Ivar Skei Musikkhandel, kick back and relax at Orre Beach, and then tour the pleasant surroundings at Borestranden Beach. Get ready for a full day of sightseeing on the 12th (Thu): shop like a local with Galleri G, then kick back and relax at Halandsvannet, and then kick back and relax at Sjobadet Myklebust. To find other places to visit, maps, and other tourist information, read Sola Municipality trip itinerary planner . Rio de Janeiro, Brazil to Sola Municipality is an approximately 19-hour flight. You'll lose 4 hours traveling from Rio de Janeiro to Sola Municipality due to the time zone difference. Prepare for colder weather when traveling from Rio de Janeiro in December: high temperatures in Sola Municipality hover around 7°C and lows are around 1°C. 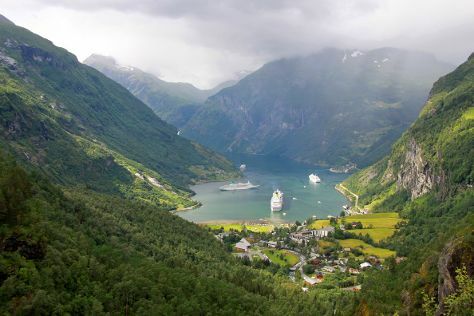 Finish up your sightseeing early on the 12th (Thu) so you can travel to Geiranger. Kick off your visit on the 13th (Fri): explore the striking landscape at Geiranger Fjord. For traveler tips, where to stay, other places to visit, and tourist information, go to the Geiranger driving holiday planning site . Explore your travel options from Sola Municipality to Geiranger with the Route module. Expect slightly colder evenings in Geiranger when traveling from Sola Municipality in December, with lows around -1°C. Cap off your sightseeing on the 13th (Fri) early enough to travel to Gressvik. Gressvik is a village located in the municipality of Fredrikstad, Norway. Start off your visit on the 14th (Sat): kick back and relax at Foten Beach and then kick back and relax at Larkollen Beach. For reviews, maps, and more tourist information, read Gressvik road trip app . Use the Route module to find suitable travel options from Geiranger to Gressvik. In December, daytime highs in Gressvik are 2°C, while nighttime lows are -3°C. Wrap up your sightseeing on the 14th (Sat) to allow time to travel to Oslo. Shop till you drop at Karl Johans gate and Fenaknoken. Relax by the water at Ingierstrand Beach and Fiskevollbukta Beach. There's much more to do: admire the masterpieces at Pafuglen, browse the different shops at Steen & Strom Department Store, view the masterpieces at Galleri Kampen, and browse for treasures at Floyel Og Kanari. To find other places to visit, where to stay, and tourist information, read our Oslo road trip app . Getting from Gressvik to Oslo by car takes about 1.5 hours. Expect a bit warmer weather when traveling from Gressvik in December: highs in Oslo hover around 8°C, while lows dip to -5°C. Finish your sightseeing early on the 19th (Thu) so you can travel to Bergen. Start off your visit on the 20th (Fri): stop by Susan Fosse Knitwear, view the masterpieces at DMG GALLERY, take in the waterfront at Bryggen, then take in the waterfront at Fish Market, then take your sightseeing to a higher altitude at Mount Floyen and the Funicular (Floibanen), and finally admire the masterpieces at KODE Art Museums of Bergen. On your second day here, tour the pleasant surroundings at Vidden Trail between Mt. Floyen and Mt. Ulriken, take your sightseeing to a higher altitude at Ulriken, then view the masterpieces at Galleri S.E, and finally soothe aching muscles at some of the top local wellness centers. To find ratings, reviews, traveler tips, and other tourist information, use the Bergen trip itinerary planning tool . Fly from Oslo to Bergen in 3 hours. Alternatively, you can do a combination of train, bus, and flight; or drive. Traveling from Oslo in December, expect somewhat warmer with lows of 1°C in Bergen. Cap off your sightseeing on the 21st (Sat) early enough to travel back home.